Potato -Capsicum masala is a very delicious combo and a very frequently used one.This combo works great for chapathis and healthy too.This is my style of preparing the masala and we just love this combination a lot with rotis.As its a very simple recipe,there is no advanced skills required to prepare and can be made by beginners in cooking too.Do check this out if you haven't tried this yet !! - Heat oil in a pan and pop the fennel seeds when oil is hot.Add in the curry leaves. -Add the sliced onion and garlic slices. -Take a microwave safe bowl and add in the potato cubes with enough water and salt.Cook on high for 10 minutes. -Saute till translucent and add in the tomato chopped. -Add the chilly powder,turmeric powder and add in the capsicum chopped. -Add in the 3/4 cooked potato cubes enough water(1/2 cup) and salt. -Cover and cook for 8-10 minutes.The masala turns thick and cooked by then,put off flame. 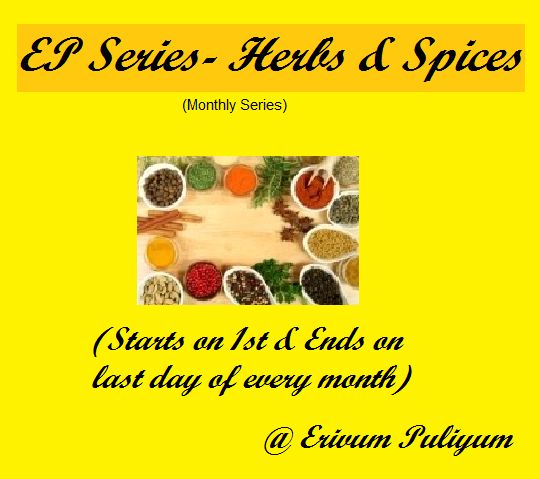 -Serve hot with rotis/chapathis !! * You can skip adding the fennel seeds.My family does love the fennel flavor very much,so I frequently add in all curries. * Add only half a cup of water once the potatoes 3/4th cooked are added to the gravy.Otherwise the curry becomes watery and will not taste good. 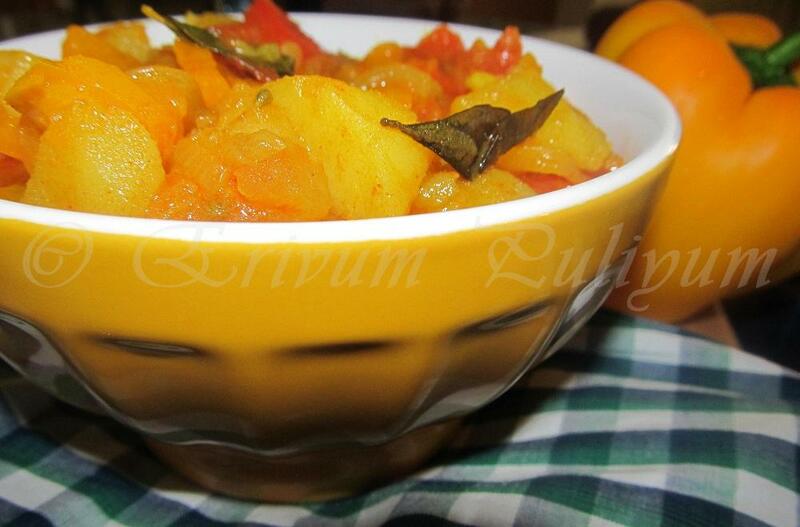 Excellent side dish for rotis, love this combo very much. like the touch of fennel seeds..
yum gravy with a nice combo. 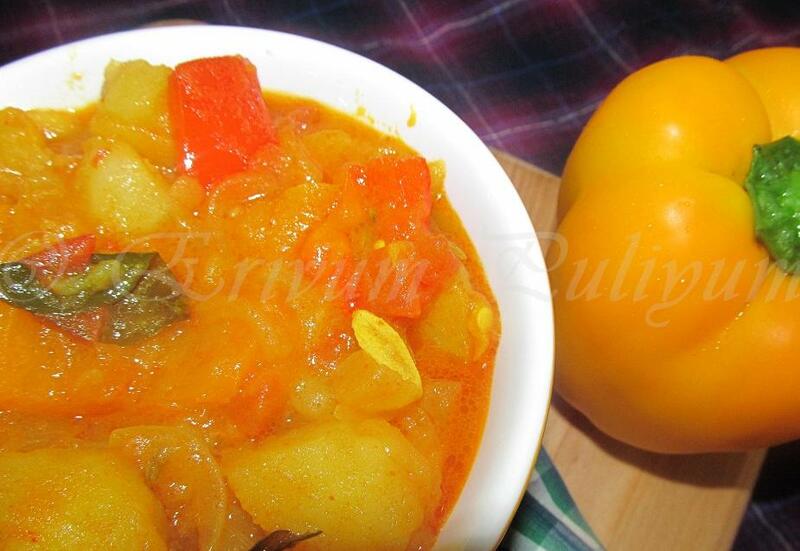 simple yet delicious curry, looks very inviting dear, sure a great combo with rotis!! I love the gravy version. I sometimes make the dry version of this. Curry looks delicious.. different than my version. Curry looks bright & flavorful..
Love this colour. 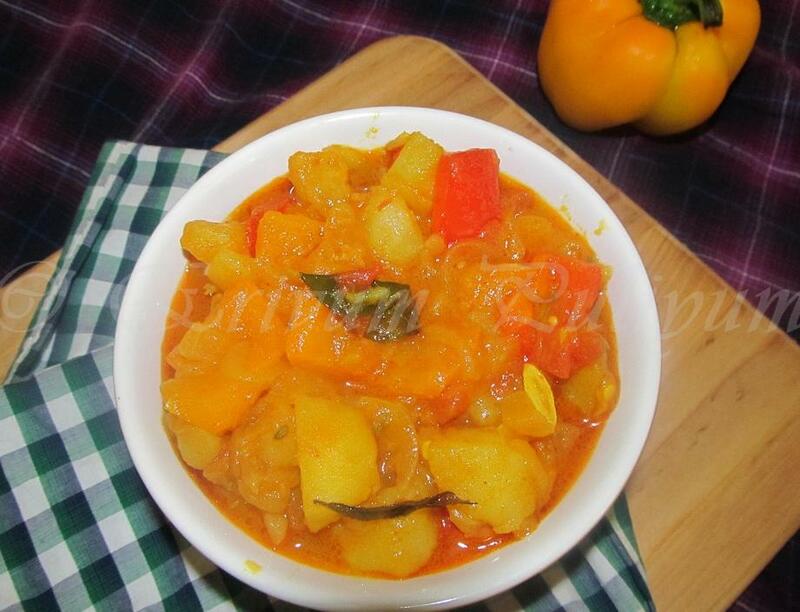 Absolutely delicious potato curry Julie. Yummy combo..there is one famous punjabi dish..Simla mirch aaluwaali ! Truly yummy dear. A very tempting combo...gotta try! Delicious combo..looks so light and juicy..